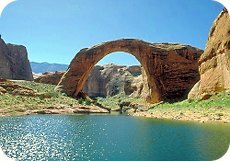 The largest selection of new luxury houseboat shares available on Lake Powell. Sales & rentals of paddleboards, kayaks and bikes. Offering a variety of trips and rentals for all experience levels. Located just south of the Arizona state border, Wahweap is our largest marina and home of Lake Powell Resorts. Interactive exhibits, introductory films, a relief map of the entire Glen Canyon area, restrooms, a bookstore, and tours of the dam. Lake Powell National is an 18-hole championship facility with multiple tee boxes ranging from over 7000 yards to 5000 yards accomadating all levels of play. 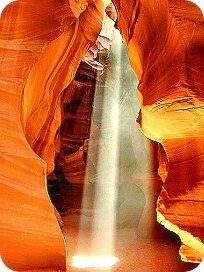 Awaiting the adventurous traveler who seeks to discover one of the most spectacular -- yet little known attractions of the Lake Powell area. A favorite gathering place for photographers, tourists, and visitors from around the world. Located just 5 miles South of Page, AZ, the parking area at Mile Marker 545 on US89 is easy to spot. All liability coverage is the sole responsibility of the respective boat owner.